Your brain is who you are. It’s what allows you to think, breathe, move, speak, and feel. It’s just 3 pounds of gray-and-white matter that rests in your skull, and it is your own personal “mission control.” Information from your environment—both outside (like what your eyes see and skin feels) and inside (like your heart rate and body temperature)—makes its way to the brain, which receives, processes, and integrates it so that you can survive and function under all sorts of changing circumstances and learn from experience. The brain is always working, even when you are sleeping. 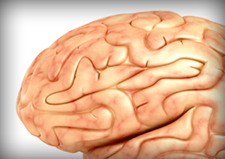 Learn more about the brain-body connection. The brain is made up of many parts that all work together as a team. Each of these different parts has a specific and important job to do. When drugs enter the brain, they interfere with its normal processing and can eventually lead to changes in how well it works. Over time, drug use can lead to addiction, a devastating brain disease in which people can’t stop using drugs even when they really want to and even after it causes terrible consequences to their health and other parts of their lives. The brain stem is in charge of all the functions our body needs to stay alive—breathing, moving blood, and digesting food. It also links the brain with the spinal cord, which runs down the back and moves muscles and limbs as well as lets the brain know what’s happening to the body. The limbic system links together a bunch of brain structures that control our emotional responses, such as feeling pleasure when we eat chocolate. The good feelings motivate us to repeat the behavior, which is good because eating is critical to our lives. The cerebral cortex is the mushroom-shaped outer part of the brain (the gray matter). In humans, it is so big that it makes up about three-fourths of the entire brain. It’s divided into four areas, called lobes, which control specific functions. Some areas process information from our senses, allowing us to see, feel, hear, and taste. The front part of the cortex, known as the frontal cortex or forebrain, is the thinking center. It powers our ability to think, plan, solve problems, and make decisions.